Deveolpment of the One West Palm highrise condos and hotel are back in play for downtown West Palm Beach. 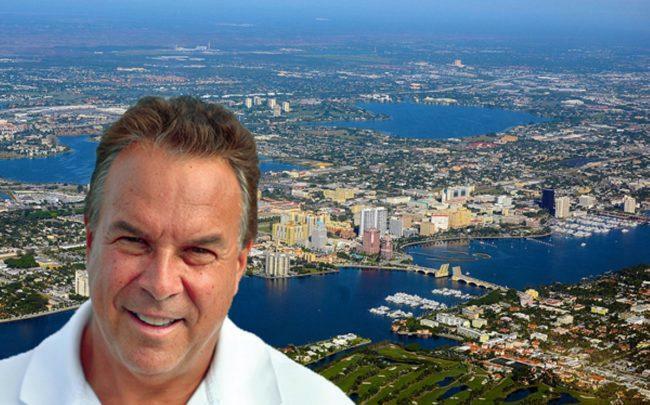 Billionaire Jeff Greene has changed his mind and decided to build One West Palm, a two-tower development with hotel rooms, residential units and office space in downtown West Palm Beach. After he ended his campaign to become governor of Florida, Greene told The Real Deal in September that he decided against building One West Palm, citing nearby hotel developments and the city government’s decision to remove a five-story limit on building height in a downtown area where New York-based Related Companies plans to build a 25-story, 275,000-square-foot office building called One Flagler. Greene also said he had no plans to sell the site of the city-approved development at 550 Quadrille Boulevard, which he bought four years ago for $15 million. But Greene told the Palm Beach Post on Tuesday that he paid $500,000 for building permits and that general contractor Kast Construction put fencing around the development site and will start to conduct test pilings there in mid-November. Dave DeMay, senior vice president of Kast, told the Post that the 30-story towers that will comprise One West Palm will be built simultaneously and will take at least 28 months to complete.